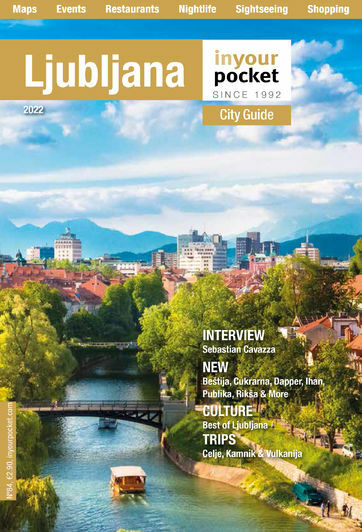 Situated amongst the rolling hills of the Goriška region only a short drive west of Ljubljana, the town of Idrija is packed with unique natural, historical and cultural attractions and makes a great day trip from the capital. When most Slovenes hear the name Idrija, the words lace and mercury quickly come to mind. However, the town and its surrounding countryside have much more to offer visitors. For outdoor enthusiasts, the largely pristine natural environment is criss-crossed with various well marked hiking trails and cycling paths, some of Slovenia's best fishing spots and terrain that is perfect for cross-country skiing during the winter. The region also boasts a rich culinary heritage and is the birthplace of the Idrijski Žlikrofi, a small savoury dumpling filled with a tasty mixture of meat, vegetables and spices. No trip to Idrija is complete without visiting the town's famous mercury mine. After continuously operating for nearly 500 years from its discovery in 1497, the oldest section of the mine is now open to the public for guided tours, whilst the nearby Idrija Municipal Museum (located inside Gewerkenegg Castle) was awarded the title of best European museum of technical and industrial heritage in 1997. The town's other must-see attraction is its world renowned school of lace, which produces an unbelievably wide range of exquisite products.